There are 366 different Starters of The Day, many to choose from. You will find in the left column below some starters on the topic of Combinations. In the right column below are links to related online activities, videos and teacher resources. Bus Stop: How many different ways can four people stand in line? Ice Cream: How many different ice cream cones can be made by choosing two scoops from six flavours? Thai Baht: How many different ways can you make a given total with Thai coins? Snake Sort: Sort the coloured snakes in a logical order. This activity introduces systematic listing. Misfits: A Misfit is a character with a head, body and legs. How many different Misfits can you create? Six Keys: Use just six keys on your calculator to make a given total. How many different ways can it be done? Striped Sweets: Learn how to be systematic by colouring the sweet wrappers so that no two are the same. Systematic Listing: Apply systematic listing strategies to find the number of combinations and permutations of choices. Triplets: Find as many sets of three of the available numbers as possible which add up to the given total. Xmas Tree Trim: Use the lights provided to decorate each of the Christmas trees so that no two trees are the same. Design a badge: How many different badges can you make using three different coloured squares put together to make a rectangle? Egg boxes: In how many different ways can two eggs be arranged in an egg box? House Painting: The houses in Mathsland are all three storeys tall. Each storey is painted using one colour. How many ways can the houses be painted? Odd Dice: Take three dice. How many ways can they be turned so that they show only odd numbers on top? Traffic Jams: How many ways can three cars be lined up in a traffic jam? 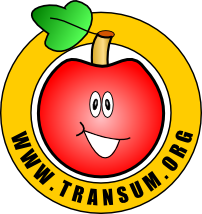 Transum Club: How many different colour schemes can you devise for the Transum Club Badge. Combinations and Permutations: Learn how to tell the difference between permutations and combinations and use the formulae to answer questions. Permutations: A video lesson on Permutations, calculating them using the counting principle and the nPr formula. The Counting Principle: The Counting Principle, Permutations, and Combinations. A fast paced, clearly illustrated video.